There is something relatively new that home sellers should require from the real estate company that they employ to sell their home. To the uninitiated, this will likely be something that you have never heard of, or at the very least, never understood its importance to help homeowners get top dollar for a home. Before we get into the details of this "must have" capability of your real estate listing agent and company, it's important to understand our belief that the role of the real estate company is to generate multiple buyers for each home they are hired to sell. The concept of "it only takes one buyer" is absolutely wrong, it takes "more than one" to create the environment that causes buyers to bid-up the value of a home. So with that explained, what is this new requirement of your real estate company? 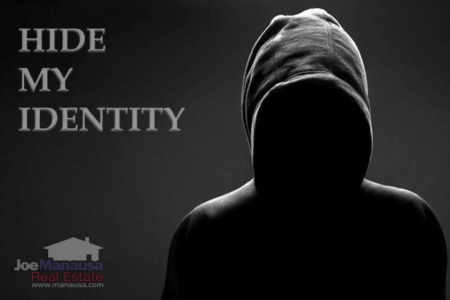 If you hire a real estate company to sell your home without checking out their website, you are missing a very important part of the screening process. It is their mission to generate multiple buyers for your home, and the most-ready buyers are using local websites with real estate companies that they trust to deliver the best, up-to-date information on the homes for sale in your market area. In order to assess their ability to market your home online, you must look at their site on your computer. But you also need to check it out on your phone and on a tablet as well. Why? Because that is what buyers are doing! We monitor what our website visitors are doing and what devices they are doing it with. Not surprisingly, we are finding fewer and fewer visitors are sitting at a desktop computer anymore. The graph at the left shows what devices our visitors used over the past 30 days, and we are now seeing more than 40% are using something other than a desktop computer. And I suspect the trend away from desktops will continue. For this reason, we ensured that our site was responsive several years ago. In fact, we chose our current provider for among other reasons, their excellence in responsive web design. Our site was recently rated at 100% by Google for it's ability to adapt to the various devices that will visit to view our homes for sale. It is critical that your real estate company have a responsive website. Wikipedia explains Responsive web design (RWD) is an approach to web design aimed at crafting sites to provide an optimal viewing experience—easy reading and navigation with a minimum of resizing, panning, and scrolling—across a wide range of devices (from desktop computer monitors to mobile phones). Google recently changed their algorithm to punish websites that are not optimally responsive, meaning websites without this ability will receive even less traffic than they did before. So if you hire a real estate agent or company with a website that is not responsive, your home will be seen by fewer people. Your real estate company should be sending a high volume of people to your home online in order to generate more visits to your home (offline). They will not be optimized to do that without a responsive real estate website. 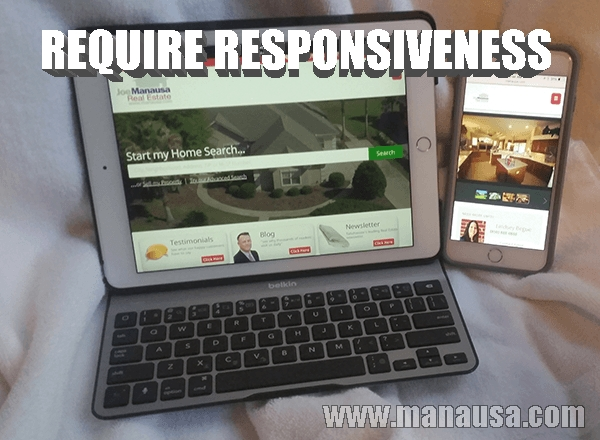 If you would like to know how our responsive web design on the Tallahassee real estate website will give you an advantage when you hire us to sell your home, just drop me a note and we'll be in touch right away (we're responsive in that way too! ).